This is the moment to restore the Sovereignty of the Citizenry over its Servant – the Government. Let the people organise themselves in their provinces and their organised structures to reimagine the South Africa of their dreams, the South Africa we pray for. This is the Moment. By BISHOP MALUSI MPUMLWANA. Bishop Malusi Mpumlwana is General Secretary of South African Council of Churches. Since then we have seen a slew of email exposés, whose authenticity has not been genuinely questioned, that point to a well orchestrated and hardly concealed campaign to take malicious control of State companies, using a web of deception in which a number of Eskom board members and executives have been caught, in the erstwhile company of trusted global companies like KPMG, McKinsey and SAP. In this rolling saga some heads have rolled, sacrificially, but the project remains capable of marching on relentlessly, with almost unstoppable bravado. The SACC Triennial Conference in June concluded that the rot is so deep and so widespread in the governmental environment that it would be difficult to reverse, and that in time the hard-slogging honest-to-goodness civil servants would be totally side-lined in areas of significant fiscal decision-making and control. The pattern that we had seen through the Unburdening Process, that academics and investigative journalists have laid bare, seems to continue unabashed and unabated; a pattern that includes, among other things: grabbing hold of State wealth by capturing State-owned companies, weakening their governance and directing their executives; side-lining and excising skilled and conscientious professionals both in the SOCs and in key government departments; and nefariously taking charge of the country’s fiscal sovereignty. This in simple terms amounts to the power elite taking over the governmental systems and is morally and constitutionally wrong. Added to this we have seen what seems like a successful control of all levers of decision-making in the governing party, so that any wrongdoing in the government is protected by all possible means, including having Parliament herded into endorsing a false narrative about the Nkandla expenditure. Even when the Constitutional Court fingers Parliament for this malpractice, Parliament goes on as if nothing has happened. One would have expected a democratic legislature that respects the Constitution to have appreciated the corrective message from the ConCourt’s judgment, and at least, out of a healthy conscience, pass a motion of regret in deference to the judgment – Dololo. Might it be that a healthy conscience is politically incorrect in Parliament these days? Who in the governing party leadership is able to see what the rest of us see – the precipice towards which we are all hurtling with no means to stop? Why is it that ordinary members of the party do not see this? Why is the NEC not living up to its duty to preserve the future of the ANC? Where is everybody in there? Is the design for destabilisation, institutional capture and looting so set in concrete; the bolts so tightly fitted that the ANC National Executive Committee cannot unshackle themselves? Can Umkhonto weSizwe, that anchor of the ANC justice campaigns over whose war we as churches wrestled with each other over the application or otherwise of the just war principle, can they not come together and find a way to stop the bus? Can the collective of the experience of ANC Veterans and Stalwarts not bring sanity to prevail, to salvage the life project of all those who sacrificed over the last 105 years of blood, sweat and tears? This is essentially an ANC matter to resolve and pull the country away from the precipice. But then the ANC history of positive struggles for a just and caring society is not all of South Africa’s history. There is another story to fall back on – that before 1994, not many professional politicians were the hope of a South Africa for all. It was trade unions and civil society organisations, and religious organisations, especially the SACC, the Muslim Judicial Council and Jews for Justice, that stood up as organised structures of apartheid resistance. That is the other story of our hope. It is against this background that the SACC National Conference opted to spend no further energy any more on the matter of who should not be in what office of the State, in order for us to arrive at the promise of the post-apartheid South Africa. But instead to turn to organs of civil society and our congregations to generate hope for the post-apartheid promise of South Africa – a just, equitable, reconciled, peaceful and sustainable South Africa, free of racist, tribalist, xenophobic and gender prejudices and violence; free of corruption and deprivation, where every child born is free to develop to its God-given potential. 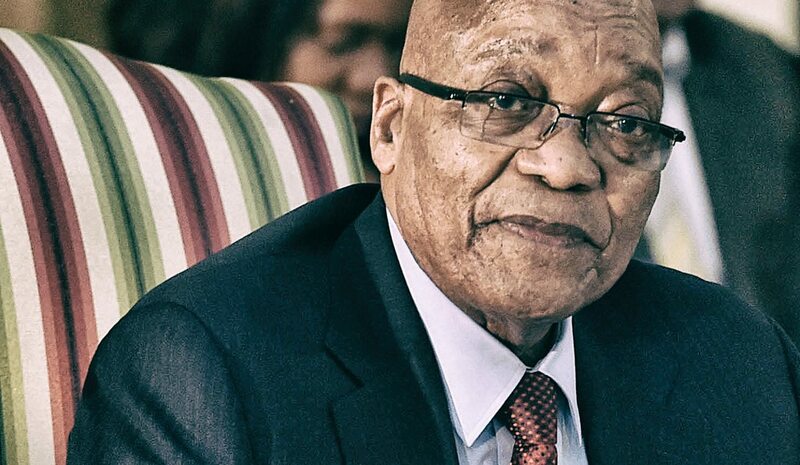 As a nation today, we are where the apartheid regime was in the late 1980s, a junk economy, a securocratic State, assassinations by the day, social unrest and loss of public trust in the government. It is a government that says in true Botha-Vorster language that priests must confine themselves to the altars and pulpits of their churches and not engage on matters of life that are governed by politicians. Déjà vu. But those were the dying days of the apartheid regime. We are praying for the dawn and delivery of a new moment of hope and futuristic fulfilment. We believe the nation will find it in the National Convention of South Africa, where organs of civil society, labour federations, business organisations and the various faith traditions will hammer out the values and standards of South African living that we shall demand of politicians who seek our trust to manage our affairs of State. For accountability systems that will make for effective oversight, so that indeed “The People Shall Govern”, as we were promised. For an electoral system that allows for greater executive and legislature accountability to citizens. For a security apparatus that serves only the public good, and a greater access to justice for poor communities. Practical ways on the pathway to mutual racial and ethnic respect and accommodation, and cultivate the emotional identity with a common South Africanness, yet owning and recognising the importance of my ethnic and race identity – as Venda, Afrikaans, Zulu, Khoisan, Gujarati, Coloured, Tswana, Xhosa, Tsonga, English, etc. – in the tapestry that makes the South African National Identity. Re-imagine how differently to be South African in the human rights and constitutional democracy era – completing unfinished work from 1994, when we papered everything under the banner of a Rainbow Nation! Today shows that the rainbow cannot be touched and felt, nor can it be physically experienced. Sexism, xenophobia, racism and tribalism are real and are being experienced daily. Convention Process to make bold and craft pathways to the making of a genuine united society that retains the worth of each component for the positive recognition and affirming celebration by all. Proclaim what should be considered un-South African, bringing the country into disrepute and undermining the national project of a just society as the Constitution prescribes in the Preamble and in the Bill of Rights. Address family life “woundedness” and the violence experienced in the home and against women in general. Explore measures of transformation, not just for tenderpreneurs, but transformation to be experienced directly in the rural and marginalised communities, addressing, head-on, poverty and inequality in South Africa. Deal with the land question with a comprehensive spatial utility approach that involves all areas, rural and urban, communal and freehold; with appropriate trade-offs to the satisfaction of all. Seriously engage and incorporate the so-called informal economy, and the economic survival mechanism of poor communities for integration into the national economic tally framework. Explore broader regional economic integration, taking account of the common stock of economic resources and opportunities, to strengthen the comparative advantage of the region in relative global monopoly. Transform the economy with sustainable and environmentally sound measures while simultaneously building productive capability. Recognising education as directly related to economic productivity, participation and employability of population; give thoroughgoing attention to the national education offering – from early childhood cognitive development to technical and vocational training at TVETs and its articulation with industry and economic drivers; as well as university education with all its current funding and spatial woes, to ensure unhindered access to quality education for all as a national investment. It is imperative and urgent to bring South Africans together to hammer out what South Africa they wish to experience, and put it out there for the politicians and their parties to respond. It is time to turn the tables for a demand-driven political process, and for the political parties to be respondents rather than protagonists in the democratic process. The political parties are being invited to the formal sessions of the National Convention – in November 2017 and May 2018; and if necessary a third session in September/October 2018. The Christian churches have a duty, and so have all other religious faiths, to generate hope for the people in despair, and a sense of the positive alternative. We must ensure that never again shall the country surrender public values to the whims of politicians – regardless of party or the leadership thereof. The impunity with which the people of South Africa have been and continue to be treated is teaching us a lesson never to be forgotten – it’s textbook material.